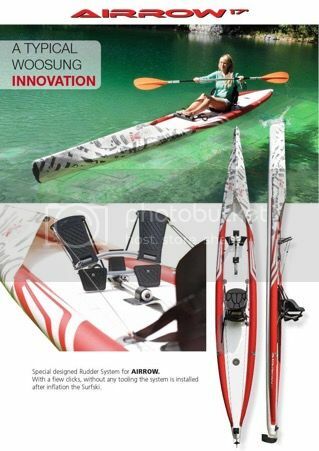 The Airrow, a new dropstitch inflatable "surfski" by Kxone. 5.18 m by, wait for it... 0.85 m, to be launched in the US at the Outdoor Retailer Show on 2 August. Please Santa, can I have a narrow one for Christmas? No? How about one with a mast foot and partner then...? Hmmmm, perhaps not. My K1 is already vengeful enough as it is!